Some versions of the Lord's prayer translate this part of the prayer as 'Holy is Your Name'. From addressing God as a child at the begining of the prayer we now address Him as a worshipper.I appreciate the fact, as one who is unworthy to enter the presence of God in his own goodness, that the Lord has encouraged us to go through the door to speak to Him as part of His family. How great indeed is the Name of the Lord at every level. 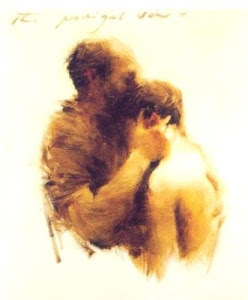 It is the highest name and the only name under heaven through which we can be saved.It is at the name of Jesus that demons must flee and through which the apostles healed the sick.It is this name and the person the bears it that must be first in our hearts and the name we must never take it in vain or use it in a self serving way. Phil.2:9-11 states(see also Isa.45:23-24): "Therefore also God highly exalted Him, and bestowed on Him the name which is above every name, that at the name of Jesus every knee should bow, of those who are in heaven, and on earth, and under the earth, and that every tongue should confess that Jesus Christ is Lord, to the glory of God the Father." For the Jews the holy name of God was so revered that it was never casually spoken or written of.Likewise for us it must then be held in the highest honour and be our desire 'to spread through all the earth abroad',the honour of honours of it! And by the same token, grieve us deeply when we hear it being dishonoured or taken in vain. Jesus tells us that when we are to address God in prayer we are to call Him Father. I think that by and large we take this too often for granted for we do not realize fully what an incredible privilege this is or the great implications that this means for us as children of God.I think we would do well to meditate on this great truth. I remember when I was in my twenties when I was studying for a theology exam on Methodist doctrine. I was learning John Wesley's definition of 'the witness of the Spirit', and at the time was worried because it was just a few hours before the exam took took place. I decided to learn it line by line. 'The testimony of the Spirit as an inward impression on the soul, whereby the Spirit of God directly witnesses to my spirit, that I am a child of God; that Jesus Christ hath loved, and given himself for me; and that all my sins are blotted out, and I, even I, am reconciled to God'. that Jesus Christ hath loved, and given himself for me; and that all my sins are blotted out, and I, even I, am reconciled to God'. I became ecstatic and experienced such joy and blessing that I had not had for such a long time.I was a child of God, Jesus did not only love me,but gave his life for me and that I,even I was now reconciled to God. All anxiety about the exam then disappeared because I could now see it in the correct perspective. Before my dog died a few years ago I used to walk him along a certain route which lasted about twenty minutes or so.During that time I would try to use it as an opportunity to draw close to God through praying the Lord's prayer. However, more often than not I would not have finished the prayer as I would sometimes get stuck at 'Our Father who is in heaven' and be unable to pray on.I didn't want to move on because the implicaton of those words was just so powerful to me and by moving on I was worried that I would lose the closeness that I was experiencing through meditating on it and by praying to God as a young child would talk to his father. Reader if you are a Christian, I would encourage you to meditate upon this wonderful blessing for some time, for surely if you are a child of the King you are then so richly blessed by Him.Thank Him and praise Him continually that it is so.For it is a gift from the King of Kings to you.Go to Him and talk to Him as a child would his father and let your requests, fears, desires and hurts be known to Him.His heart for you is a heart of love. 'O what manner of love the Father has given on to us, that we should be called the children of God.'Amen. The Lord's Prayer: The Greatest Prayer in the World. Forgive us our sins,as we also forgive those who have sinned against us. Deliver us from the evil. Over the next few days I aim to look at what is commonly known as the 'Lord's Prayer' commenting on each phrase and petition one by one. 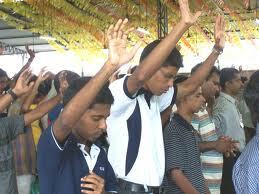 We can take confidence when we pray it because it is the prayer that the Lord taught His disciples to pray. We therefore don't have to second guess what He teaches us:He taught us to say these words so now we can pray them in faith, not worrying whether we are praying things which are beyond us or that we have no right to pray. What relief is that- We know that He will hear us and that He wants to answer our requests. Thy kingdom come: A subject. Thy will be done on earth as it is in heaven: A servant. Give us this day our daily bread: A beggar. Lead us not into temptation: A sinner in danger of being a greater sinner still. Spurgeon goes on to state that the petitions are like a ladder, beginning at the top then descending down.The petition of the child is at the top and is the highest position that any man can have:'See what manner of love the Father has given onto us that we should be called the sons of God' 1 John 3.2. Not even the angels can achieve this position. The next rung down is that of the worshipper. How high and glorious is this.It is indeed high but not as high as that of a child, but with the angels we may worship the triune God.Below this we have the subject of the King asking : 'Thy Kingdom come '. He is lower than the worshipper but higher indeed than the servant who prays 'Thy will be done'. Next is the beggar who asks for bread. Then beneath this is the sinner who asks for his sins to be forgiven, Spurgeon states that asking someone to forgive is always lower than asking them to give. As long as we are on this earth we should be praying that God would have mercy on us. Lastly is the sinner who is frightened of becoming an even greater sinner who prays 'Lead us not into temptation.' Yet as Spurgeon points out it is perhaps only the mature child of God who is aware of his own frailties. It is only the son of the Father who in devoted service and has suffered the onslaughts of Satan who knows how much he needs mercy when his back is being hard pressed against the wall. 1 All those under the yoke of slavery must have unqualified respect for their masters, so that the name of God and our teaching are not brought into disrepute. 2 Those whose masters are believers are not to respect them less because they are brothers; on the contrary, they should serve them all the better, since those who have the benefit of their services are believers and dear to God. This is what you are to teach and urge. 5 and unending disputes by people who are depraved in mind and deprived of truth, and imagine that religion is a way of making a profit. 6 Religion, of course, does bring large profits, but only to those who are content with what they have. 8 but as long as we have food and clothing, we shall be content with that. 9 People who long to be rich are a prey to trial; they get trapped into all sorts of foolish and harmful ambitions which plunge people into ruin and destruction. 10 'The love of money is the root of all evils' and there are some who, pursuing it, have wandered away from the faith and so given their souls any number of fatal wounds. 11 But, as for you Man of God, avoid all that. You must aim to be upright and religious, filled with faith and love, perseverance and gentleness. 12 Fight the good fight of faith and win the eternal life to which you were called and for which you made your noble profession of faith before many witnesses. 16 who alone is immortal, whose home is in inaccessible light, whom no human being has seen or is able to see: to him be honour and everlasting power. Amen. 17 Instruct those who are rich in this world's goods that they should not be proud and should set their hopes not on money, which is untrustworthy, but on God who gives us richly all that we need for our happiness. 19 this is the way they can amass a good capital sum for the future if they want to possess the only life that is real. 11 But refuse the younger widows; for when they have begun to grow wanton against Christ, they desire to marry, 12 having condemnation because they have cast off their first faith. 13 And besides they learn to be idle, wandering about from house to house, and not only idle but also gossips and busybodies, saying things which they ought not. 14 Therefore I desire that the younger widows marry, bear children, manage the house, give no opportunity to the adversary to speak reproachfully. 15 For some have already turned aside after Satan. 16 If any believing man or[b] woman has widows, let them relieve them, and do not let the church be burdened, that it may relieve those who are really widows. 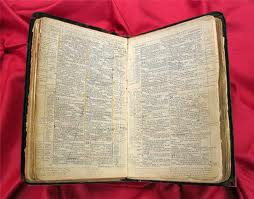 17 Let the elders who rule well be counted worthy of double honor, especially those who labor in the word and doctrine. 18 For the Scripture says, “You shall not muzzle an ox while it treads out the grain,”[c] and, “The laborer is worthy of his wages.”[d] 19 Do not receive an accusation against an elder except from two or three witnesses. 20 Those who are sinning rebuke in the presence of all, that the rest also may fear. 1 This is a faithful saying: If a man desires the position of a bishop, he desires a good work. 2 A bishop then must be blameless, the husband of one wife, temperate, sober-minded, of good behavior, hospitable, able to teach; 3 not given to wine, not violent, not greedy for money,but gentle, not quarrelsome, not covetous; 4 one who rules his own house well, having his children in submission with all reverence 5 (for if a man does not know how to rule his own house, how will he take care of the church of God? ); 6 not a novice, lest being puffed up with pride he fall into the same condemnation as the devil. 7 Moreover he must have a good testimony among those who are outside, lest he fall into reproach and the snare of the devil. 1 Therefore I exhort first of all that supplications, prayers, intercessions, and giving of thanks be made for all men, 2 for kings and all who are in authority, that we may lead a quiet and peaceable life in all godliness and reverence. 3 For this is good and acceptable in the sight of God our Savior, 4 who desires all men to be saved and to come to the knowledge of the truth. 5 For there is one God and one Mediator between God and men, the Man Christ Jesus, 6 who gave Himself a ransom for all, to be testified in due time, 7 for which I was appointed a preacher and an apostle—I am speaking the truth in Christ[a]and not lying—a teacher of the Gentiles in faith and truth.